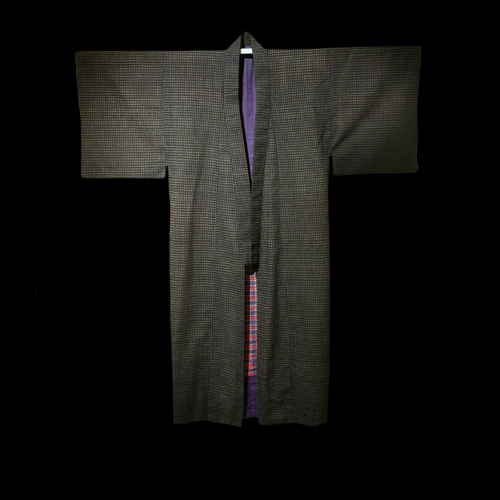 Gary--Sansei & Scottish American—a cotton farmer’s kimono is used to indicate his farmer roots. Inside is lined with plaid from his Scottish side. Born and raised in Connecticut, where there are few Asian Americans of third generation, he sees his identity choice of either Japanese national or European American. The Connecticut Eurocentric mainstream does not accept him as an American. His only remaining choice is to identify as a Japanese national.